Constructive evolution, the adaption to an evolutionary criterion, could be plainly illustrated as above. The object is passive if the structure, the information, is impressed upon it. This is the case in the selection or construction of objects. 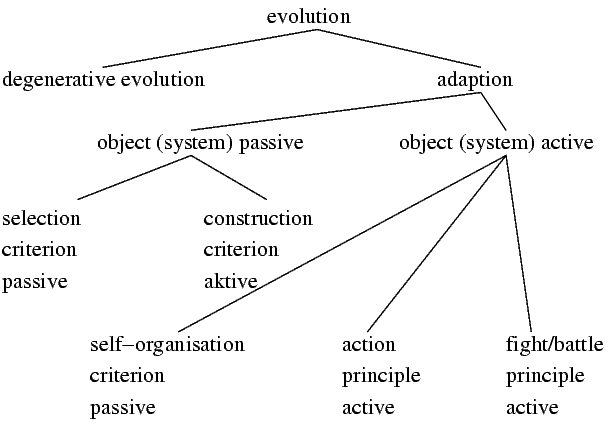 The active system selects itself, the environment, or another system, as object of adaption. Information is derived from a passive criterion by an active system. The active criterion, the system's principle, will search for an object to actively adapt that object to itself.